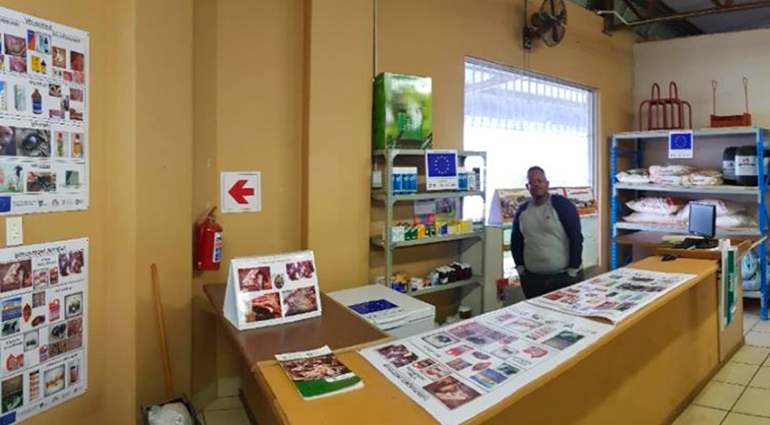 Agrivet shops are being piloted by the Jozini project to create an environment for farmers and Community Animal Health Workers (CAHWs), once they have been trained properly, to have access to locally to medicine that is kept in appropriate conditions and within sell by dates. This is a common problem in many rural areas that even when farmers understand the need for appropriate veterinary interventions they have no access to veterinary shops. There are often shops in the area that stock various medicines and treatments but the shops often do not have the facilities to keep the medicines properly. Lastly, the shop owners often do not have the knowledge to prescribe the treatment for the farmers problem. They also do not have proper packaging, such as ice packs and non-see through packaging.